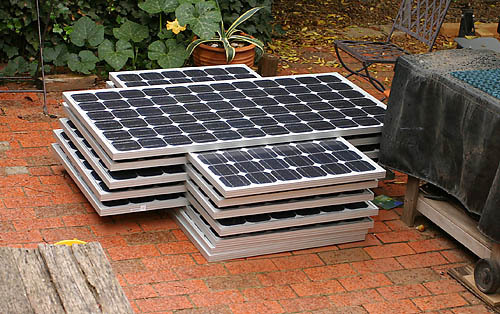 Approved and ready to go, our solar grid connect system is now turned on and generating power back to the grid! Once the local authority had done their inspection it was just a matter of flicking a couple of switches and things have started happening. 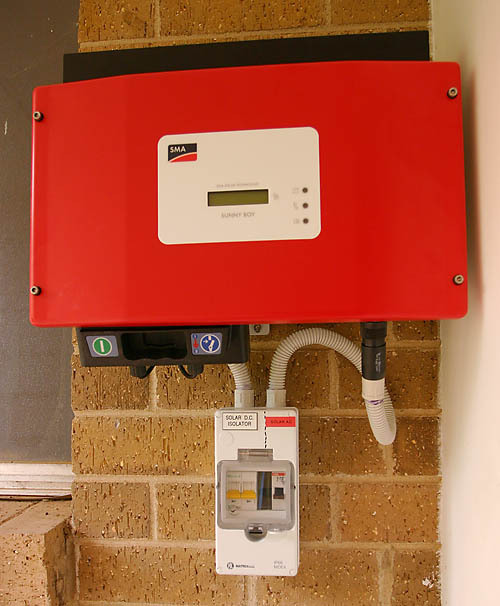 The control panel on the inverter shows the daily and total power produced as well as the instantaneous output at any given moment. 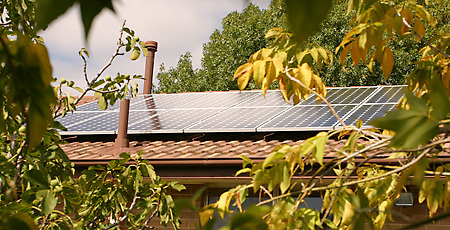 The feed-in tariff has yet to be officially confirmed as being approved but it is in process. 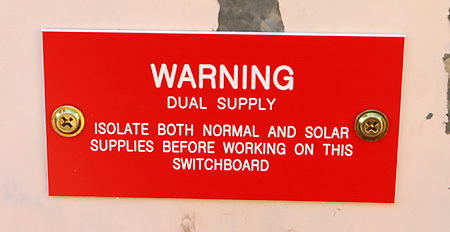 Next on the list is the solar hot water service. Just in time too, as the electric water heater just sprung a leak! But that’s another story. The panels are here, the inverter is on the wall and the local electricity authority is due in two days. 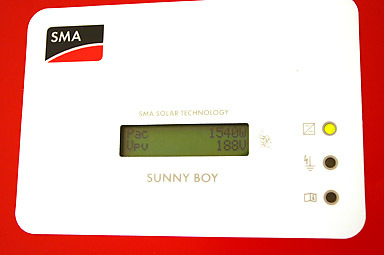 "Sunnyboy" inverter. Stupid name but it looks the part. The rain is holding up the process a little. Seems the installer doesn’t like slipping off wet tiles! We’ve also ordered an energy monitor to track our power usage. This should be useful in raising our awareness of what we are using and how much it is costing. 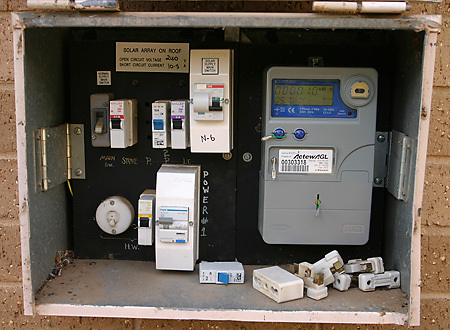 The meter connects to the mains switch board and has a remote display panel which shows current usage and cost, as well as use over selected periods for comparison purposes. The weather is holding that one up too however. The warehouse in Perth was hit with the recent storms and delivery has been delayed. We’ll have a month or so until we get the solar hot water service installed, so we can get an idea of the difference that makes in our energy consumption. Should be an eye opener, I think. All being well, the Grid connect system panels will be up and connected in the next day, ready for the authority inspection. The contract for the premium feed-in tariff has been sent off too, so we should soon be making almost as much as we are using, at least in monetary terms, if not in actual kilowatt hours. This is why I’ve posted this entry in the investment category too. It should have paid for itself in about 6 years and be making the premium tariff for the next 14 years after that. It is approximately a 15% return on initial investment, and although the system will be slowly depreciating, the extended income period should make up for this. I’m also expecting some technology advancements which in 10 years or so could allow for an expansion of the system out to 4KWhrs at a reasonable cost which would begin to make the household self sufficient in actual usage terms. We’ll see how that pans out. More pics to come once it’s all up, as well as some feedback on our usage via the energy meter, once that arrives.